Adolf Hitler wrote in 1924: "A State that refuses racial contamination must eventually rule the Earth." 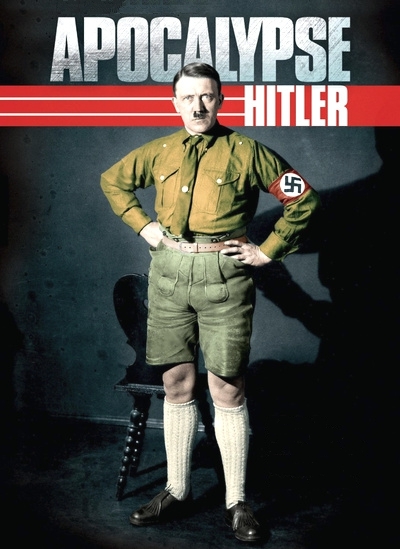 How could Hitler succeed in conquering Germany? Nothing predestines this mediocre student and failed artist to become dictator of Germany - the Fuhrer. The Great War of 1914-1918 turns him into a rabid racist, haunted by a vision and a mission: to save Germany. But the country is not particularly worried Hitler is only considered a crank on the margins of German political life. The 1929 economic crisis will change all that. 1929. Germany, harshly affected by the worldwide economic crisis, is sinking into despair. Bloody street fighting between Nazi and Communists is raging. Fear of the "Red peril" will push millions of voters into Hitler's arms. Democracy is at risk, and no one is left to protect it. In 1933, Hitler is named chancellor. The Nazi dictatorship extends its evil shadow over Germany. Hitler is now the Fuhrer. While saying he wants peace, he prepares for war - the Apocalypse.